A compliance statement is a document used to confirm that a certain business or organization is compliant to particular rules and regulations set by the government authorities. The statement provides details and facts about the business or organization on how they are able to comply with the set requirements. A compliance statement is also known as a certificate of conformance and certificate of conformity. A compliance statement needs to be certified or signed by a competent and authorized entity to confirm that the business or organization, as well as its supplied goods or services, are able to meet the required standards or specifications. 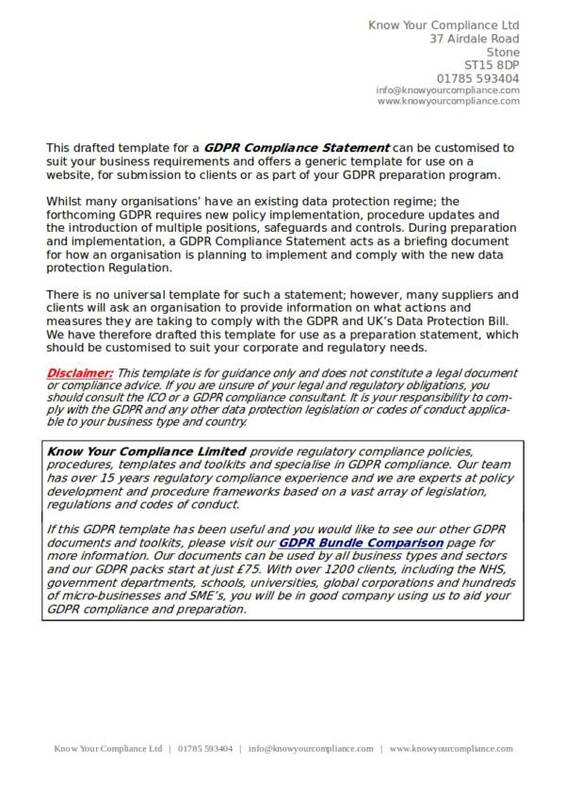 Ensuring that the compliance statement created is comprehensive and accurate is very important, that is why it is safe and convenient to use compliance statement templates. Check out the templates that we have provided below! Compliance is defined as an act that conforms or abides to rules and regulations. 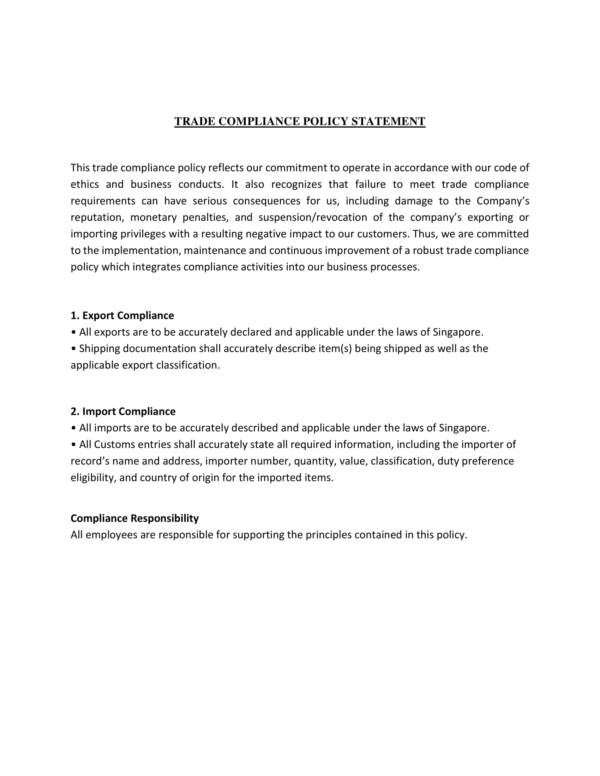 A compliance statement examples is mainly used to show and confirm that a business or organization is doing the right things in business by conforming to the rules and regulations to which their business or organization is under. The statement is a documentation of what the business or organization has done to comply to the specified rules and regulations, which includes their products and services. 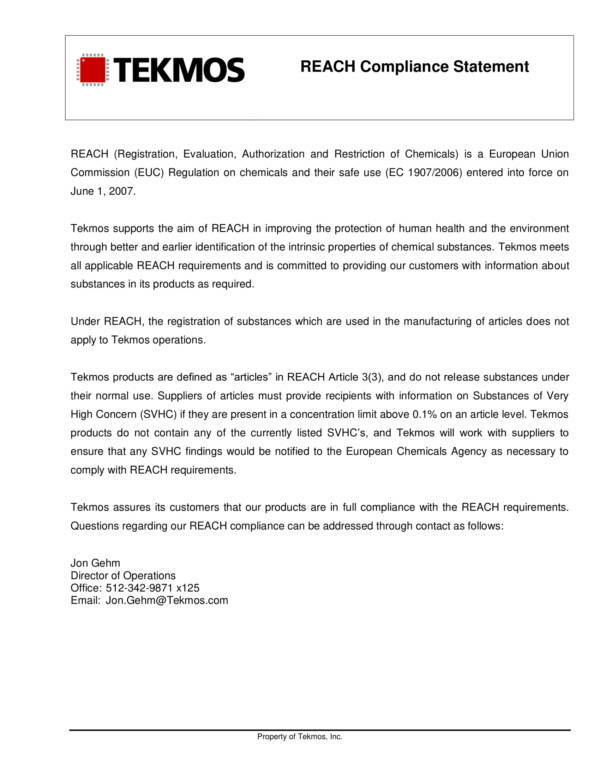 The statement is also used as a report that should be signed by competent authorities as proof that they have been checked and the claims of compliance of the business is true. you may also see notary statements. 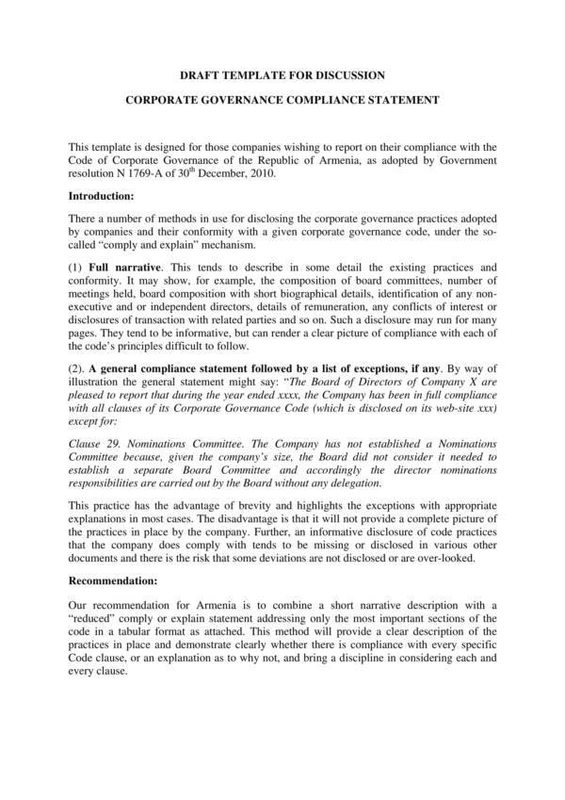 A compliance statement is an example of a written statement. Written statements are those statement that are created in writing. These statements provide a tangible document that is used as a record or copy of what has been said, what has been done, and what has been agreed upon about different transactions. Written statements are often detailed and are preferred over verbal statements. It is because verbal statements are said and agreed on by mouth so there is obviously no evidence of the said transaction and both parties involved hold on to each other’s promises. This is very risky, especially if the other party has no intention of doing their part of the responsibility or fails to do their part properly. 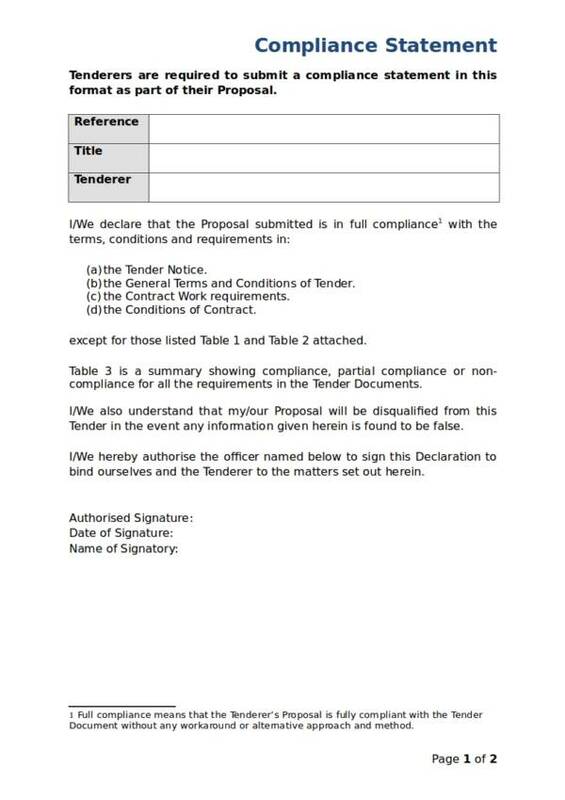 Written statement, on the other hand, provides a solid document and details of the transaction. 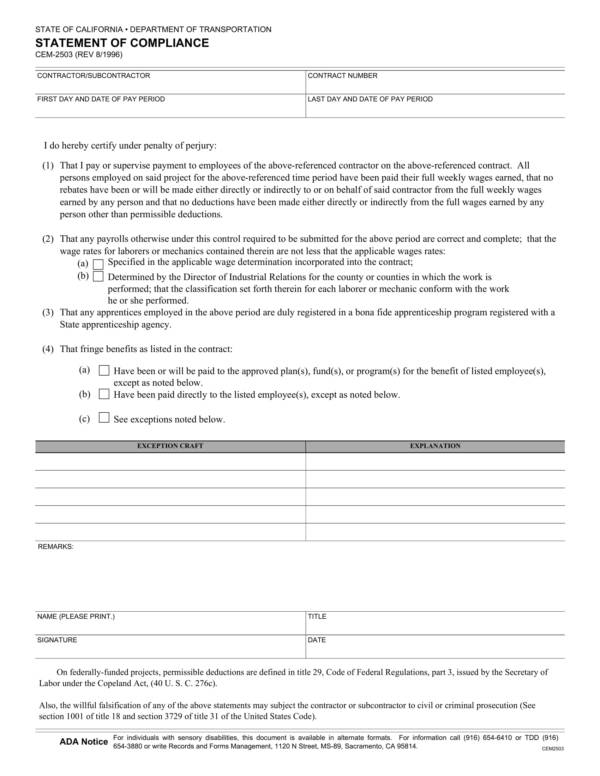 you may also see employer statements. Other types of written statement you may find interesting are narrative statements, notary statements, and employer statements. 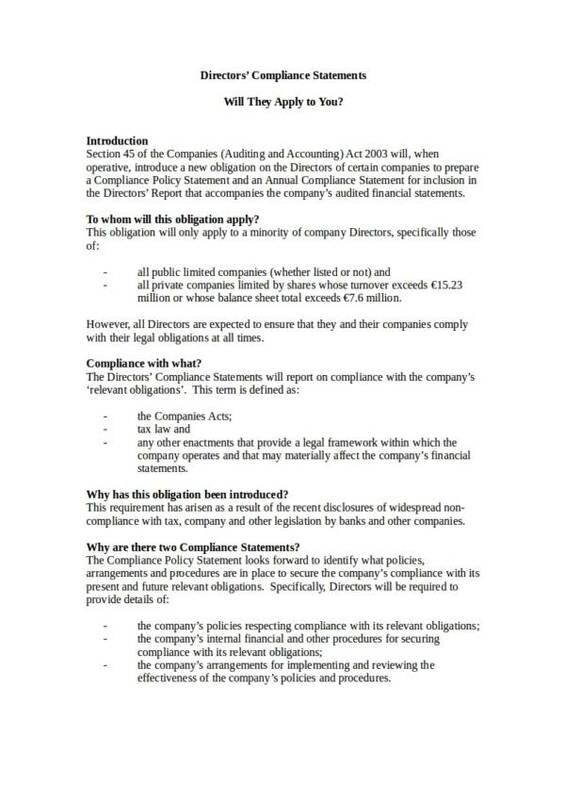 What Things Are Included in a Compliance Statement? The following are the things that you find in a compliance statement. 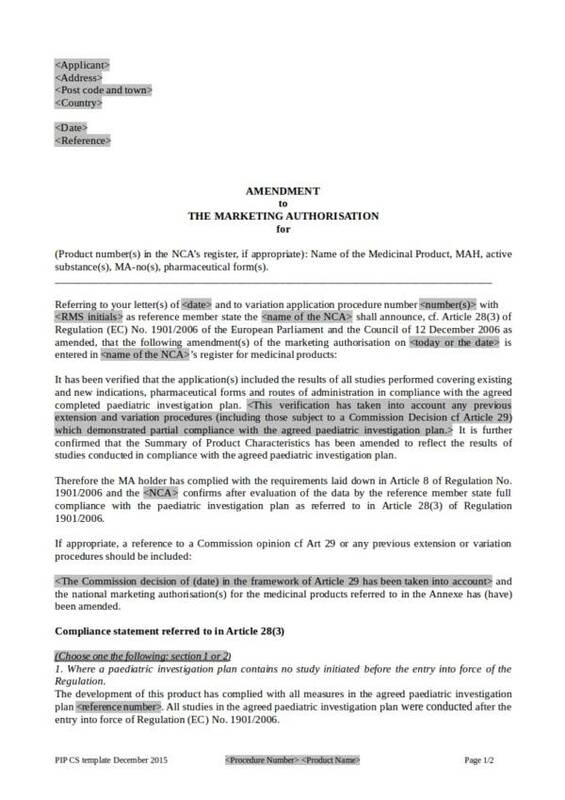 Making sure that your compliance statement is comprehensive and includes all the necessary information in it is very critical, especially when it comes to outlining and defining every action or step taken by the business or organization in order to comply to the specific standards required by the regulating body. Learn more about statements through samples and templates, like safety statement templates, projected income statement templates, and personal financial statement samples and templates. Check them all out on our website! Creating your own compliance statement easily and quickly is made possible with the availability of different statement format templates. We will teach you on how to have that done with the easy to follow steps that we have provided below. Think of the purpose of your compliance statement and for what specific thing you are actually going to use it. 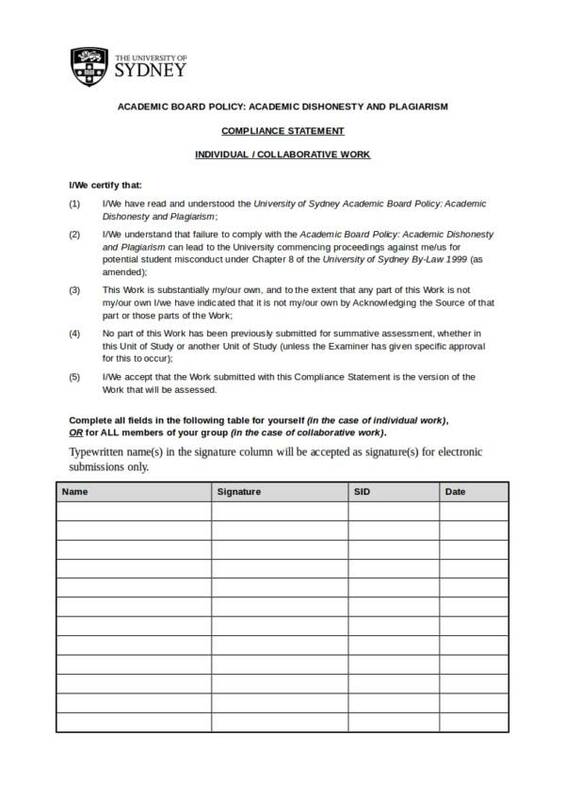 List down your preferences and other items that you must include in the compliance statement you are making. After making the list, search for a compliance statement template online that includes all of the criteria that you want. 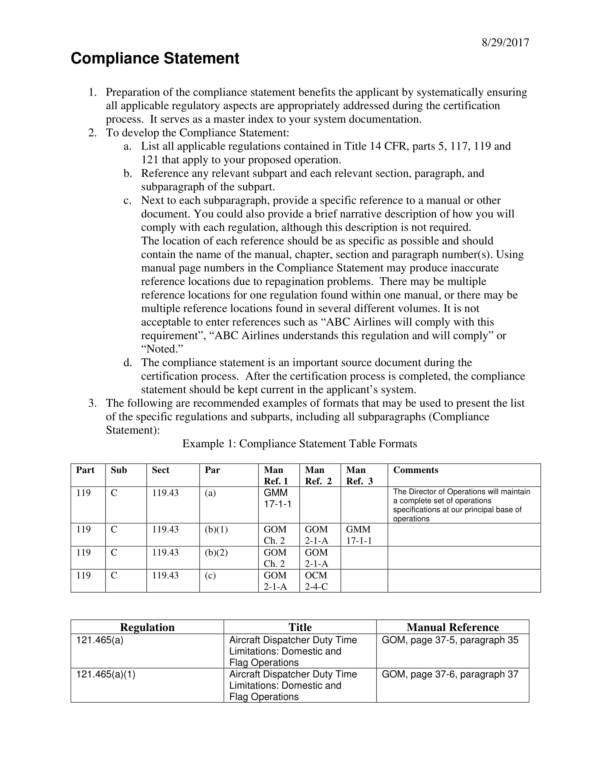 You may also use blank compliance statement samples. Download the template that you have chosen. Look for the downloaded file on your computer and then open it. Thoroughly read the template that you have downloaded and make the necessary changes as you go through. This is when your list of preferences becomes handy. Use your list as a guide on what things you want so that you won’t forget anything. you may also see Rental Billing Statement. If you need to edit or remove some parts of the template, just highlight that part and then type in the word or words that you will be replacing it with. Once you are done, you will need to review your work. Do you have to start over and read the whole document again? Just to make sure that there are no errors and so that the meaning of some parts of your document has not been changed, we strongly advise that you review it from the top. Also look out for grammar and spelling errors. You don’t want them in this important document. you may also see Business Statement Templates. If you are satisfied with your work, then go ahead and have it saved. You can have it printed if you need a printed copy. With the steps above you should be able to get your work done easily. Need more references or templates? No problem! You can find tons of them on our website. You can find titles like Sworn Statement Templates, Rental Billing Statement Templates, and Business Statement Templates. The use of a a compliance statement allows anyone to quickly and conveniently produce statement of compliance whenever they need to. The templates allow any user to save time and energy in creating a compliance statement. Compliance statements include a complete set of information or details necessary in the making of a useful and reliable compliance statement. Since the compliance statement already has the necessary details of the statement included, the completed document is guaranteed to be of high quality and accurate. 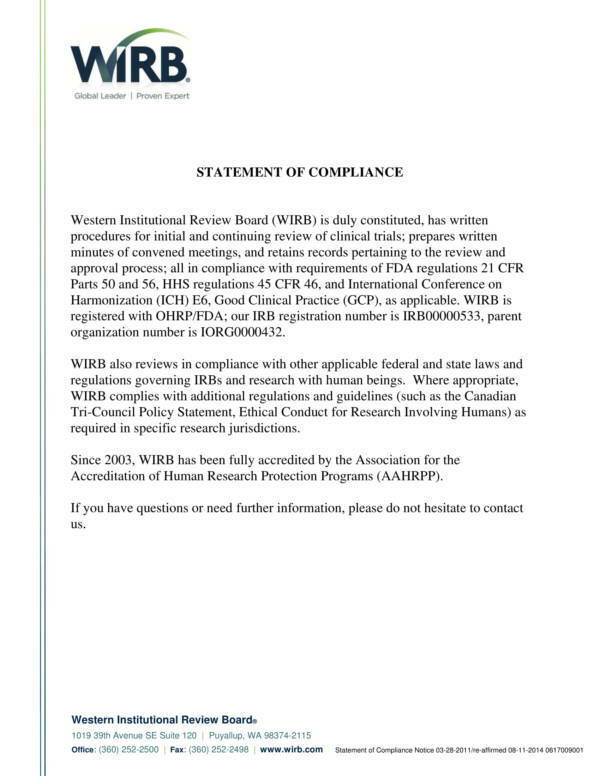 Compliance statement templates, as well as other statement templates, are abundant online and they are easy to find. On top of that, almost all of these templates are offered for free. If you use these templates, you are sure to save a lot! The use of the templates does not require special skills or abilities, not even special applications. Basic applications form like Word or PDF will do. Just make sure that what you download is compatible with the application you have on your device. 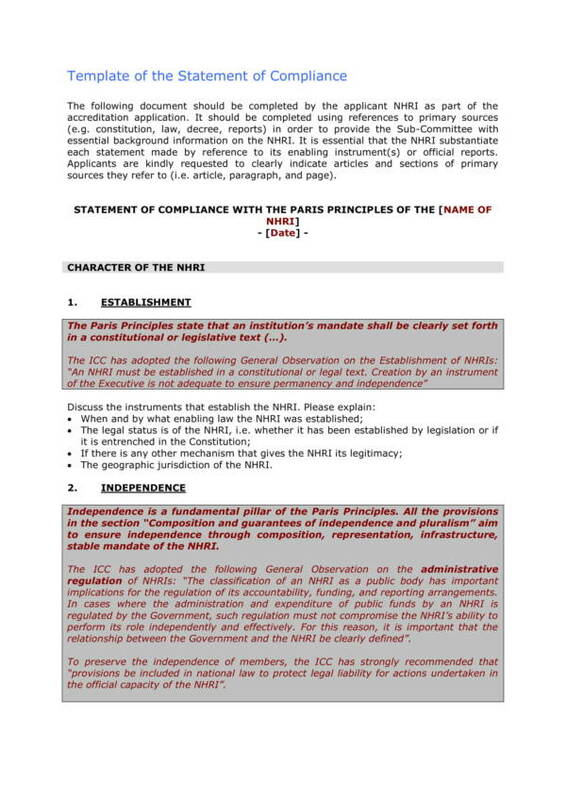 Compliance statement templates can also be used as one’s reference in making their own compliance statement template. Most templates are created in user-friendly and easy to edit file formats so that anyone will be able to use it. This allows the user to make the appropriate changes to the document according to their needs and preferences. you may also see Declaration Statement Samples. 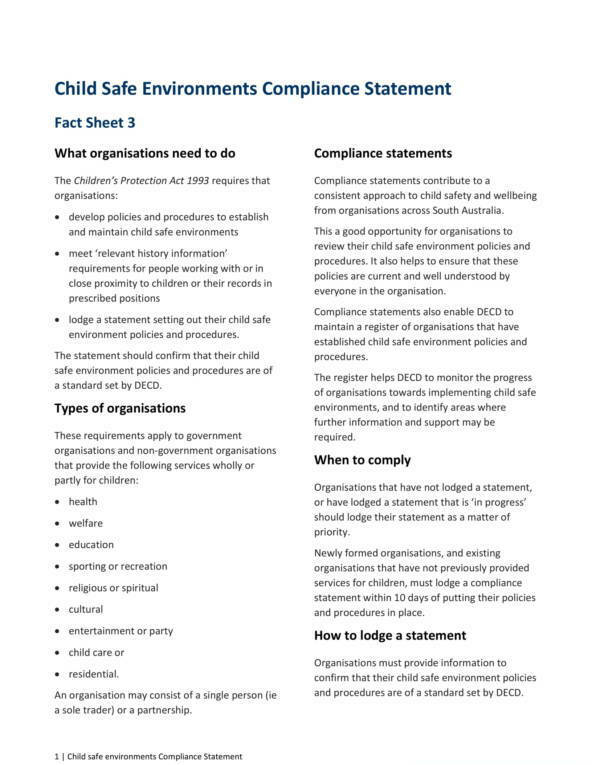 There are different compliance statement templates for specific purposes available to you online, which you can use for free. 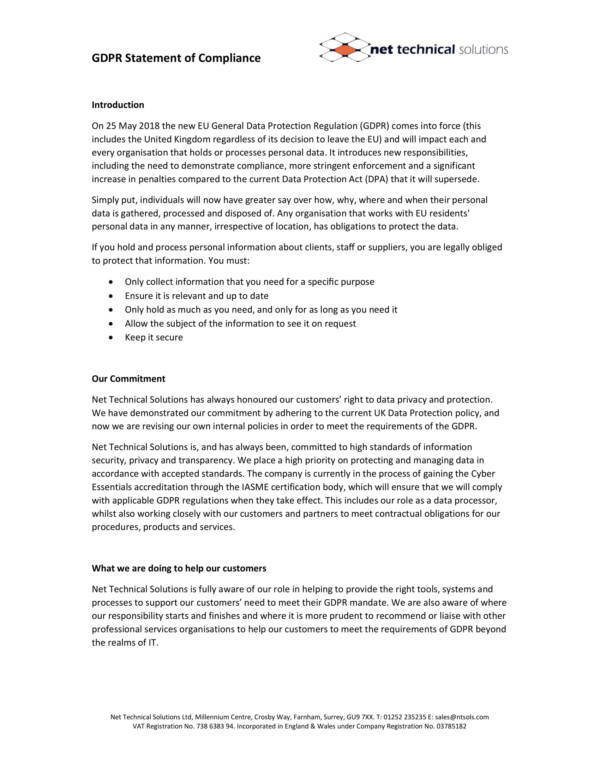 Compliance statement templates help the user in producing a professionally made compliance statement that is guaranteed to be useful. you may also see Yearly Income Statement. You can never go wrong with using compliance statement templates or just about any other templates. 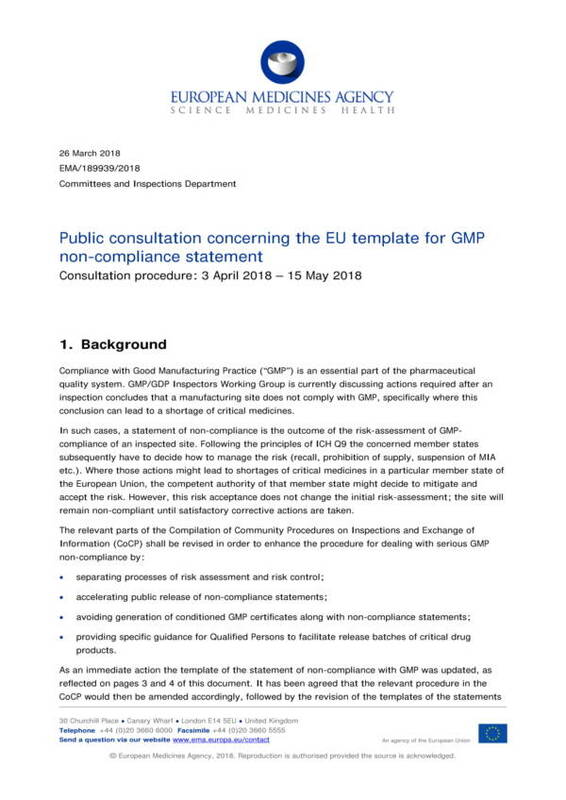 We are so lucky to be living in an era where a lot of things have been made convenient to people, just like how convenient it is to use a compliance statement template. If you are interested to learn more about statement and other related topics, then you might want to browse through the articles we have on our website. Some of the articles you can find there are Travel Expense Statement Samples and Templates, Declaration Statement Samples and Templates, and Yearly Income Statement Samples and Templates. Compliance statements are written statements. Written statements are preferred over verbal statements because they provide documentation that serves as proof of the transaction. you may also see Expense Statement Templates. We have learned how to easily edit a compliance statement template and add one’s preferences on it. One of the main advantages of using a compliance statement template is being able to easily and quickly produce a comprehensive, accurate, and useful compliance statement. you may also see Statement of Facts Samples. We sure hope that you were able to learn from this article. If you find this article useful, then you might also be interested on other related topics that we have on our website. To name a few titles are Warranty Statement Samples and Templates, Statement of Facts Samples, and Expense Statement Templates.